Being informed about the home buying process will empower you to feel confident when making decisions on buying your home. Luckily for you, you’ve come to the right place! Step 1. The first step to buying a home is simply to make the decision to buy. How do you know if it’s the right time for you to buy? There is never a wrong time to buy the right home. The key is finding the right home for you and taking the time to carefully evaluate your finances. Step 2. Hire a REALTOR®. There is a difference between a real estate agent and a REALTOR®. The main difference is that a REALTOR® must abide by the National Association of REALTORS® Code of Ethics and is bound by a fiduciary relationship to put you, the client’s, best interests first. Step 3. The next step is to secure your financing. Making sure you are comfortable with your monthly mortgage payment, down payment, and interest rate prior to finding your home is best. Ask your agent to introduce you to a few of their preferred lenders and they will help make sure the financial aspect of your home buying process is stress free. Step 4. Find your new home! Your Texas Dream Realtors® agent will customize a search that matches your criteria and you can pick which homes you would like to see. You know it is the right home for you when it fits all of your important needs and as many of your additional wants as possible. Step 5. Make an Offer. 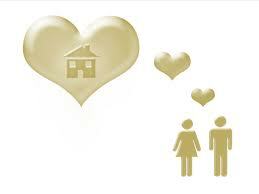 When you find the home you love, it is time to decide on a price for the offer. Look to your agent to provide all of the recent sales data in the neighborhood to help you make an informed decision on the market value of the home. A contract will be written and signed by you and will be submitted to the seller. The seller will then either accept the offer, issue a counter offer, or not accept the offer at all. Step 6. Get an Inspection. When both parties agree to the contract, it is recommended that have an inspection performed on the home to make sure you know what you are getting into before you go through with the purchase. Sometimes a problem feels big, but can be remedied quickly and easily prior to closing. Step 7. Close on your home. Once the offer is accepted, you will sign the necessary paperwork to transfer the title and deed to your name. Once it has funded, you will get the keys! Step 8. Maintain your investment. Congratulations on your new home! Performing routine maintenance on your home will help to protect your investment for years to come. Don’t lose touch! Texas Dream Realtors® can still help you by providing information on the real estate market, finding contractors and repair services, and even tracking your home’s current value. Call a Texas Dream Realtor® Today!